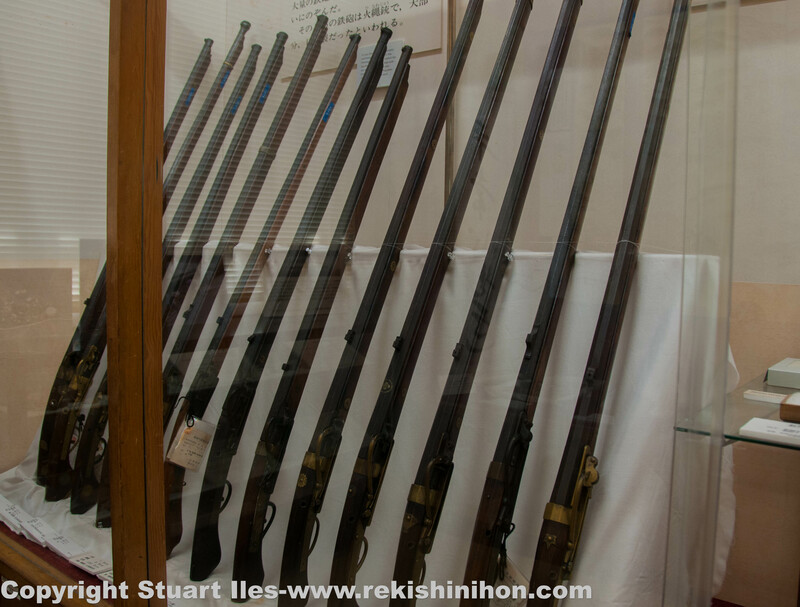 I visited the two Nagashino battlegrounds and museum in January 2016. It was a great experience to visit this place and walk on the old battlefield which was a decisive turning point for the Takeda family and eventually lead to their eventual downfall. The Nagashino campaign was launched by Takeda Katsuyori, son of the great Takeda Shingen on May 30 1575 with about 15,000 men. 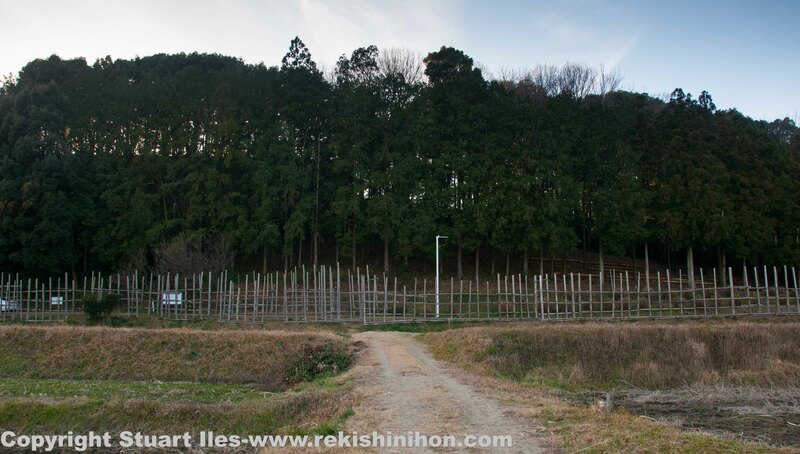 Katsuyori wanted to recapture the fort that was lost to Tokugawa Ieyasu the year before. The fort was on a strategic position between Mikawa and Totomi that the Takeda needed in order to gain access into Mikawa. 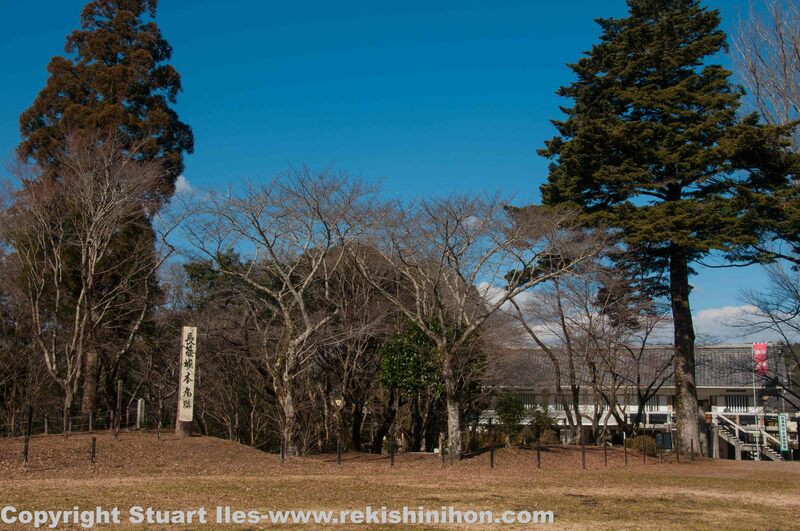 The garrison was manned by about 500 samurai and commanded by Okudaira Sadamasa who were loyal to Tokugawa Ieyasu. Eastern side of the ninomaru (2nd bailey) looking north. 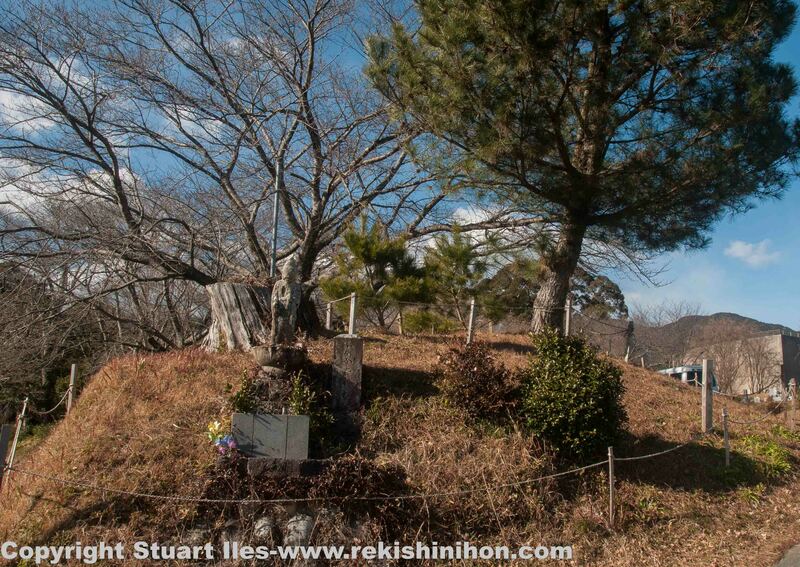 Standing on the top of the hill separating the honmaru and ninomaru. The northern side of the ninomaru looking east. The siege of the fort began on June 17 and lasted until June 21 culminating in a full day and night attack on the 21st. 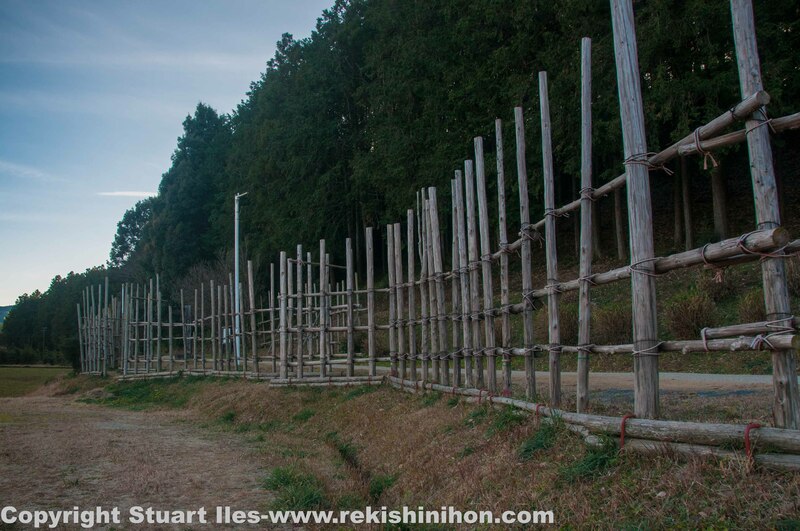 The Takeda army penetrated the outer defensive walls but were still held up at the Ninomaru. On the following day and after suffering many casualties Katsuyori decided to starve the garrison to surrender. The garrison’s warehouses and food supplies had been destroyed and exhaustion had overcome the remaining defenders. It was only a matter of time before they would starve, or so it seemed. Meanwhile, a low ranking ashigaru named Torii Suneemon managed to escape the blockade and run 50 km to Okazaki castle where Oda Nobunaga and Tokugawa Ieyasu were in discussions about what to do about the Takeda incursions into Mikawa. Suneemon told the two lords that there was only three days food and water left and that the garrison commander was going to commit seppuku when supplies ran out to save the lives of his men. The fort would then surrender to Takeda Katsuyori. The lords promised help and Suneemon returned to Nagashino to inform his comrades but he was captured by the Takeda. Katsuyori offered to spare his life if he shouted to the garrison to surrender and that no help was coming. Bravely, Suneemon shouted that help was on its way and not to give up. The Takeda then put him to death. Both they and the garrison knew that the Oda-Tokugawa combined army was now on its way. 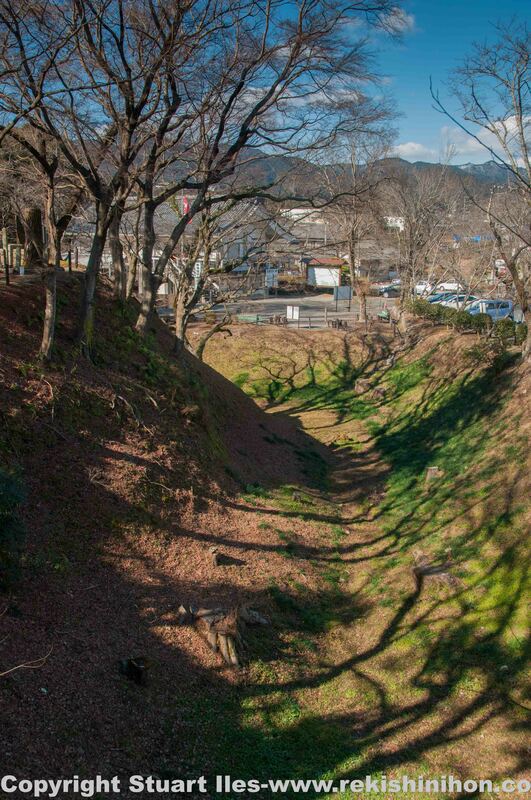 The Oda-Tokugawa army arrived at Shitaragahara on June 27, about 5-6 km west of Nagashino fort, and quickly set up a defensive position in the hills on the western side of the plain which sat between two hillsides with a small river running between them called the Rengogawa. The Oda-Tokugawa army numbered about 38,000 men(Oda 30,000, and Tokugawa 8,000) and the battle line stretched for 3 km. 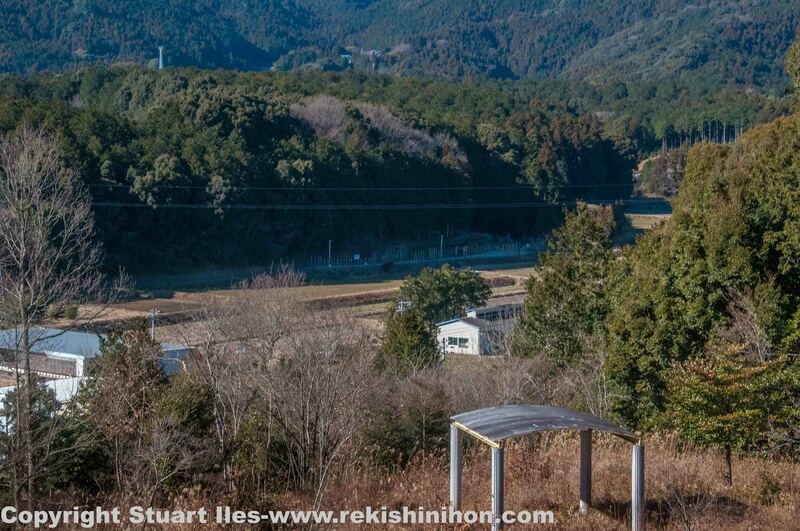 The Oda-Tokugawa line was strategically set up with the mountains at the north and the Toyokawa river at the south to stop any Takeda horsemen from flanking their position. If the Takeda wanted to fight they had to make a frontal assault. 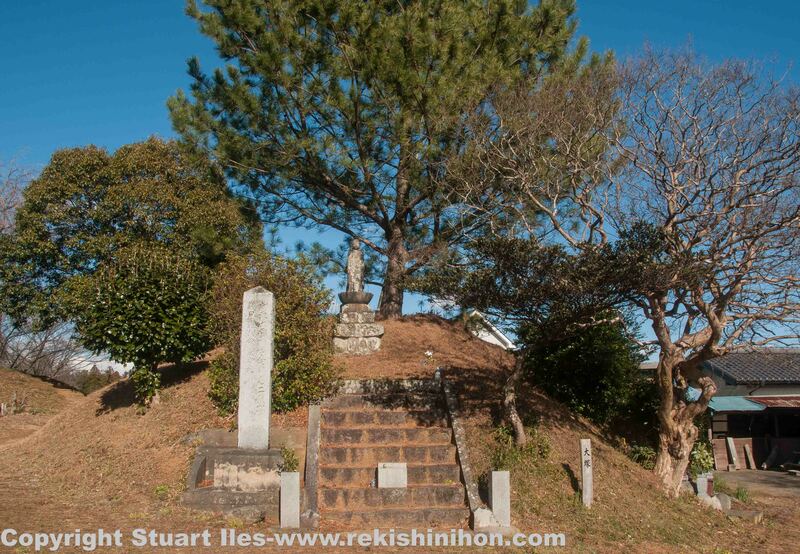 12,000 Takeda troops marched from the fort to prepare for the bloody battle and set up camp on the eastern hills. I am standing on the Oda-Tokugawa line looking south to the Toyokawa river. This was the main Tokugawa defensive position. Looking back at the Oda-Tokugawa line from the Rengogawa which is about 50m away. Looking north towards the hills where the main Oda forces were on the left. Birds eye view from the Takeda side at the Rengogawa. Before I get into the details of the battle a few important points have to be covered. On the night of the 27th it rained heavily swelling the amount of water in the Rengogawa. Under the intense rain the Oda troops managed to construct a palisade 2 km long at the foot of the hill as shown in my photos above. 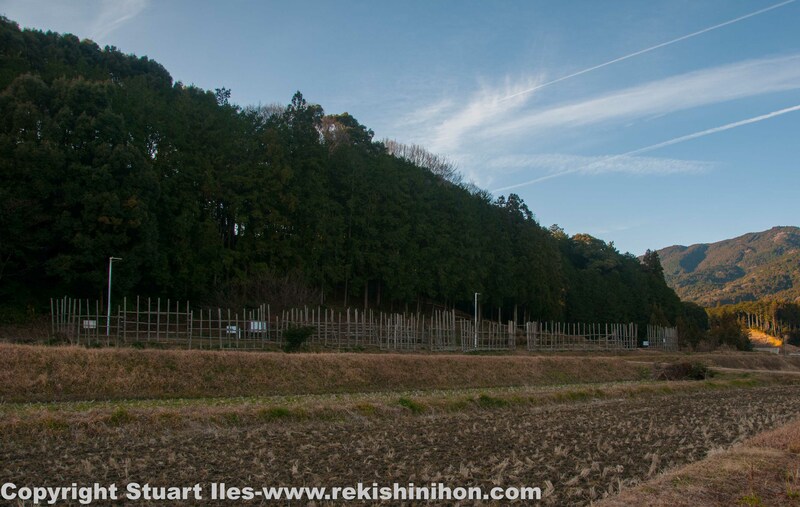 3000 ashigaru arquebusiers were stationed behind the barriers which were thought to have been 3 lines deep for maximum rate of continuous fire. Nobunaga chose this position which was the narrowest point (less than 200m) of the battle line as he wanted to cut down the cavalry charge as soon as soon as they emerged from the treeline to stop them building up maximum attack speed. Katsuyori however, was encouraged by the rain and the narrow stretch between the lines. He believed the heavy rain would make the firearms inoperable and the short distance between the lines meant his horsemen would get to the defensive line in so many numbers the Oda-Tokugwa would be overwhelmed and flee. 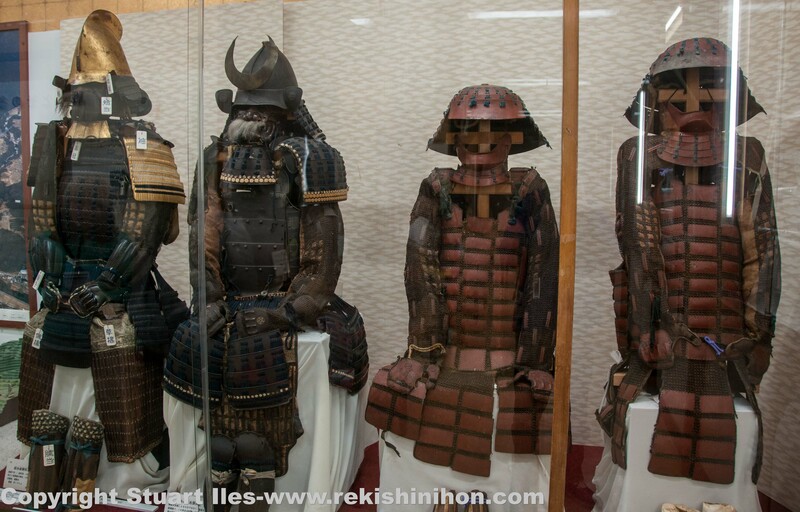 Afterall, the Takeda horsemen were the most feared force in Japan at that time. The view of the Shitaragahara from where Takeda Nobukado would have been stationed. Katsuyori gave the order for the first wave of attacks at 6:00am and at the beat of the war drums the first wave attacked. It was the start of an eight hour battle. It soon became apparent that the charge was slowed due to the muddy ground and the banks of the Rengogawa which had swelled overnight. The Oda troops did not fire their weapons although they had a range of 500m. Nobunaga strictly told his gunners not to fire until the enemy were within 50m as it was at 50m that the most damage could be inflicted. As the horsemen mounted the western bank of the river and built up charge speed they were hit with the first volley of bullets, then a second and a third. By the third volley the Takeda attacker must have been within 10m of the defensive line. The first wave of horsemen and their assistants lay dead, annihilated. Katsuyori expected some casualties in the first volley but the quick succession of second and third volleys shocked him. While the second wave was preparing to charge the Oda-Tokugawa had time to reload their weapons. Any samurai breaking the defensive line to finish off any survivors were quickly pulled back into line. For now, the plan was to stay put. 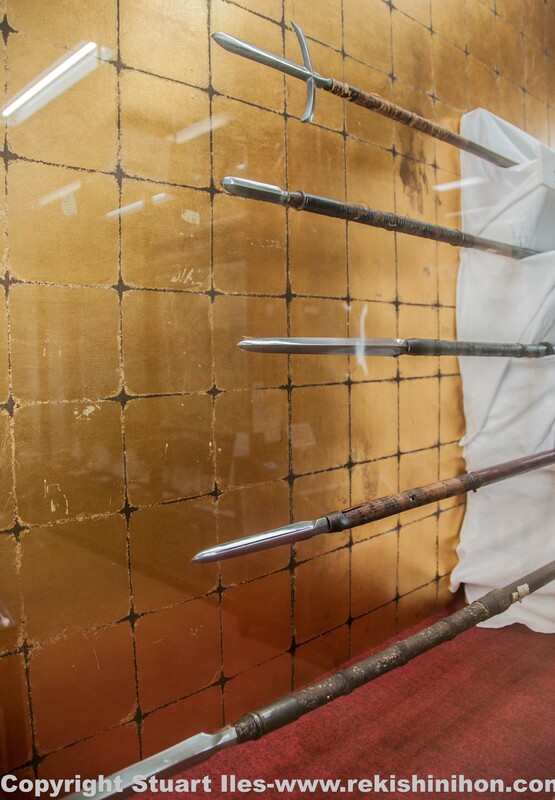 Any Takeda samurai who were foolish enough to charge the line were dealt with by yari (long spear ashigaru) whose long spears poked out between the barricades. After 3 hours of attacks the defensive line was still intact and it was not until about 9:00am that the first hand to hand fighting began. Realizing the futile head on attacks were just wasting the lives of many good men fighting moved to the far left and right wings where the Oda-Tokugawa samurai were not protected by the palisade. Baba Nobuharu (one of the Takeda’s famous 24 Generals), on the far right managed to break the northern line near the mountains, but this came at massive losses. Baba stated with 700 men and now he only had 80 left. On the Takeda far left, near the Toyokawa river likewise heavy hand to hand fighting ensued for many hours. 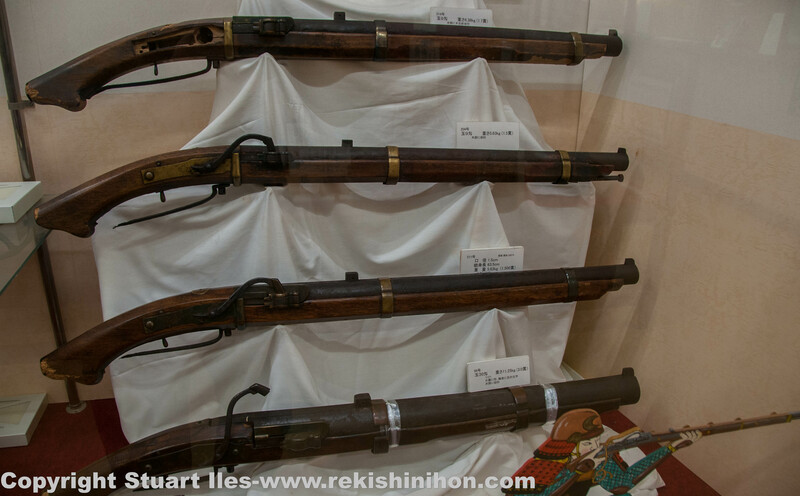 Various arquebus on display in the Nagashino museum. In desperation, Katsuyori orders a full charge of all remaining reserves including his own bodyguard. Fighting continued until about 1:00pm when suddenly Nobunaga blew a horn signalling a general withdrawal from the defensive line. 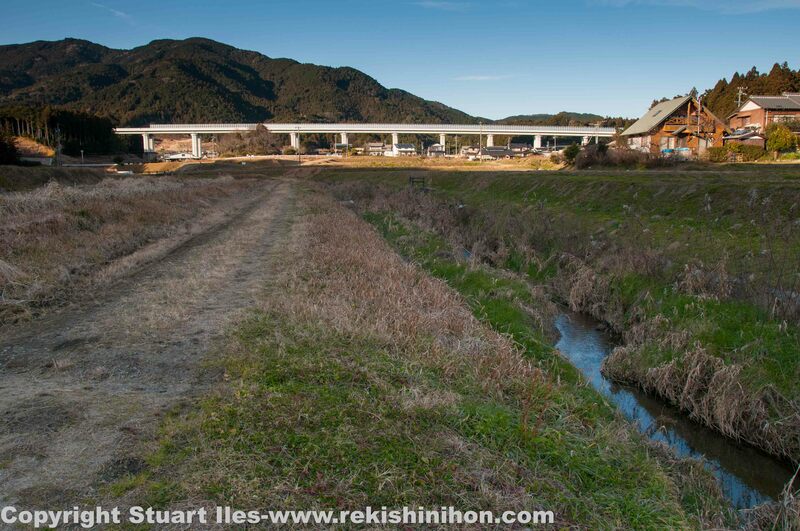 Seeing this an an opportunity to escape, Katsuyori orders a retreat north, up the Toyokawa river to Horai-ji and back to their home in Kai province. However, Nobunaga sees the retreat and orders his men to attack the fleeing Takeda army. Baba Nobuharu and a few of of his remaining men cover his lords retreat to the Toyokawa river where Hananoki Koen Ryokan (incidently, the ryokan I stayed at) sits today and mounts a last ditch fight with the pursuing Oda troops. Baba and his unit fight to the last man allowing Katsuyori to finally escape with only two men. 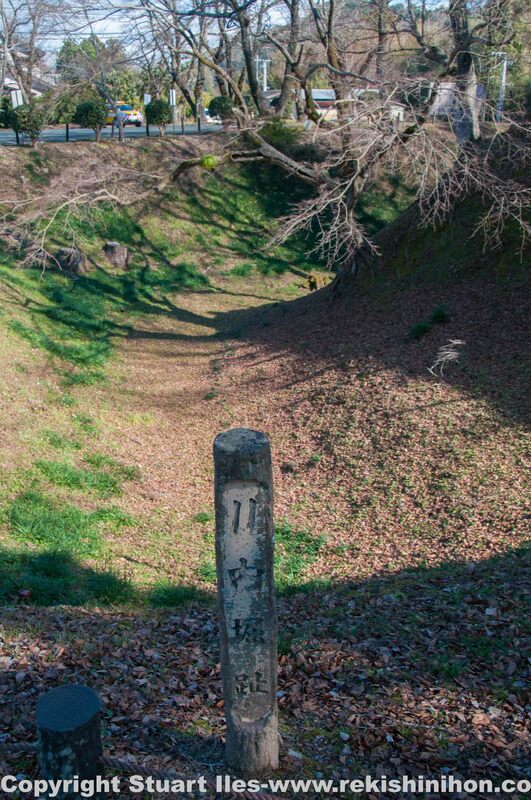 There is a signpost by the river just outside the ryokan honouring Baba Nobuharu for his act of courage and loyalty. Final figures show about 10,000 Takeda dead, 67% of the whole army deployed. But for the Takeda it was the number of high ranking samurai that were lost including eight generals. Losses on the Oda-Tokugawa were also high, around 6,000 dead but only 16% of their total force. The Takeda army never recovered and never actively campaigned ever again. Burial mounds on the eastern hills of the battlefield. The dead from both sides were stripped of their armour and put in makeshift graves to stop disease as it was the middle of summer and very hot. 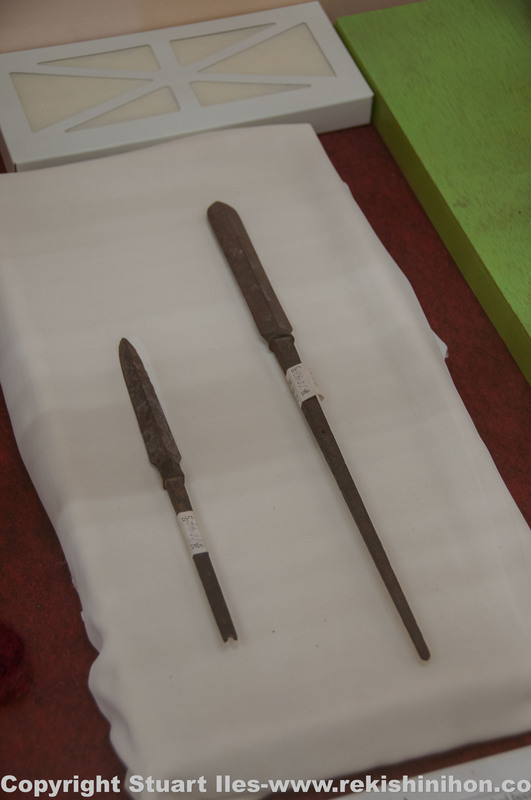 Arrow and spearheads found at the Nagashino fort. Nagashino is in present day Shinshiro city, Aichi prefecture. I stayed at Hananoki Koen Ryokan. Lamers, Jereon P (2000). ‘Japonius Tyrannus’. Leiden: Hotei Publishing. Turnbull, Stephen (2000). ‘Nagashino 1575: Slaughter at the Barricades’. Oxford: Osprey Publishing. 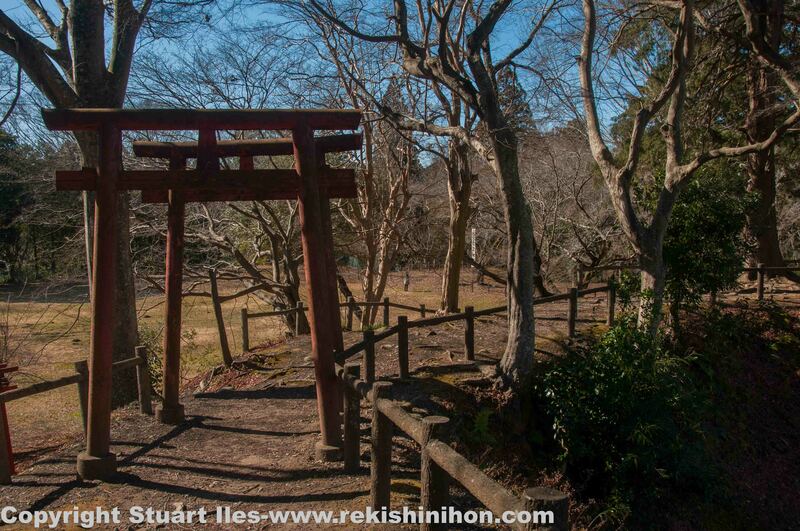 Previous Post 69 Stations of the Kisokaido. Plate 15-Itahana snow.